The Russell 2000 break of 1,520 is under threat with today's loss. Next up is converged 20-day and 50-day MA support but such a test will confirm the breakout loss and open up for a new trading range opportunity. 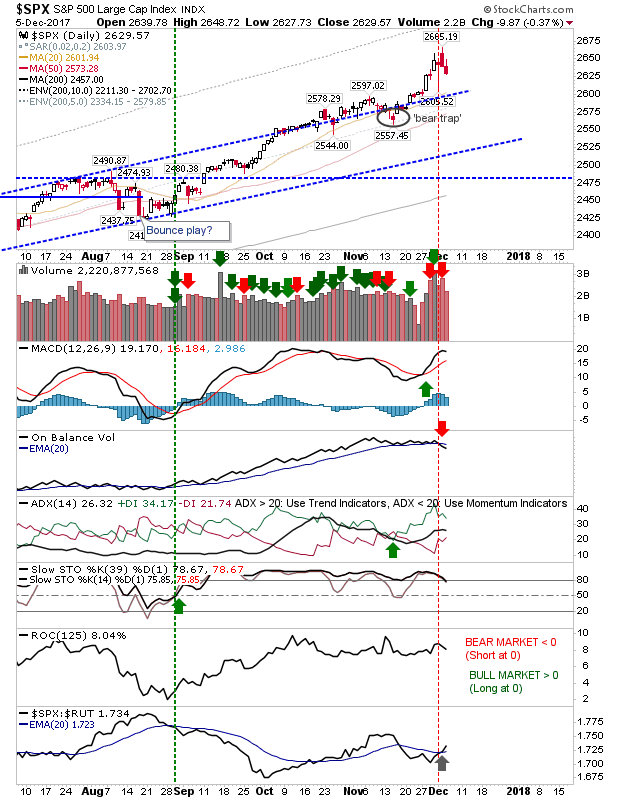 However, a loss of 1,450 would bring the August low into play and suggest a more significant top is in play. 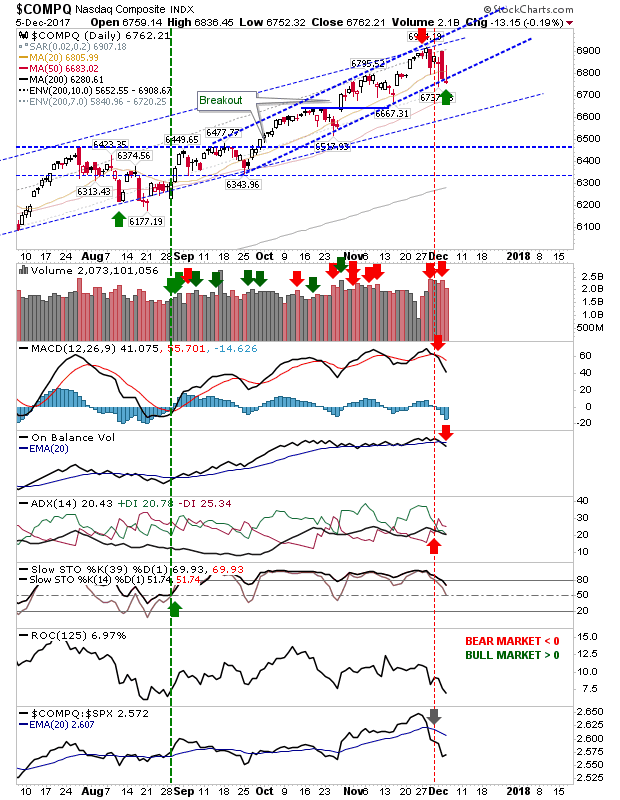 The Nasdaq looked to confirm support at the accelerated channel line, although technicals are still at recent 'sell' triggers. Volume was light and relative performance is moving lower so keep stops tight to today's lows. The S&P also lost ground but it still has the benefit of relative out-performance against the Russell 2000 and outside of an On-Balance-Volume 'sell' trigger technicals are still bullish. 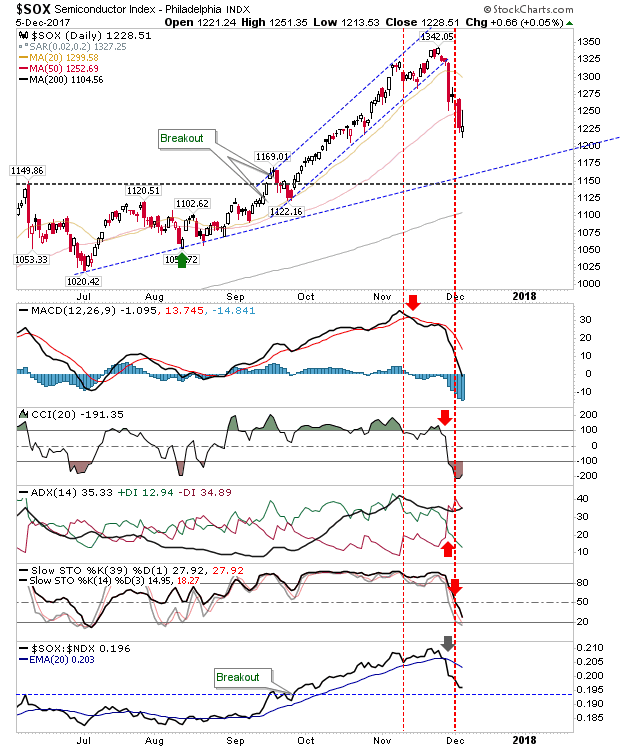 The Semiconductor Index didn't lose further ground although technicals remain weak. 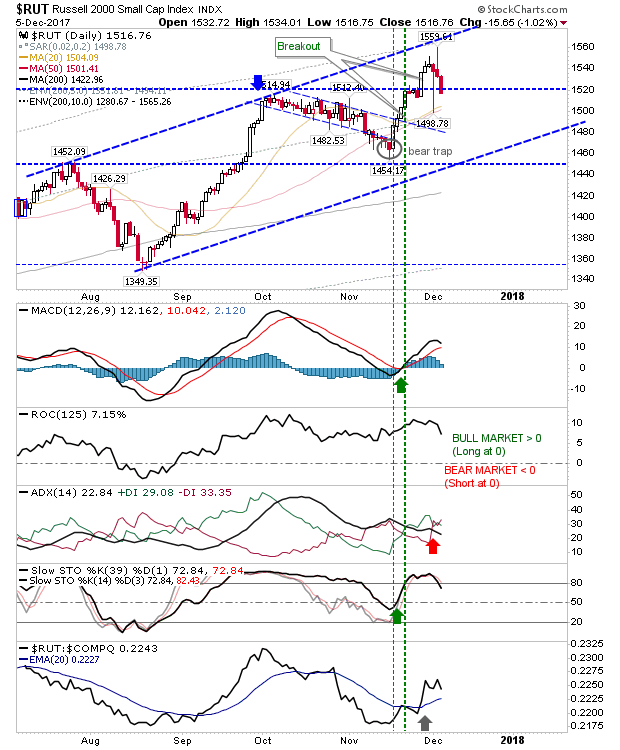 There is still a good chance for a bounce but the risk:reward remains vulnerable to whipsaw. For tomorrow, play for a bounce off channel support with the Nasdaq. On the flip side, the Russell 2000 is playing for a potential short play. The S&P remains a hold until there is a more defined trend reversal in either the Nasdaq or Russell 2000; the latter in particular.